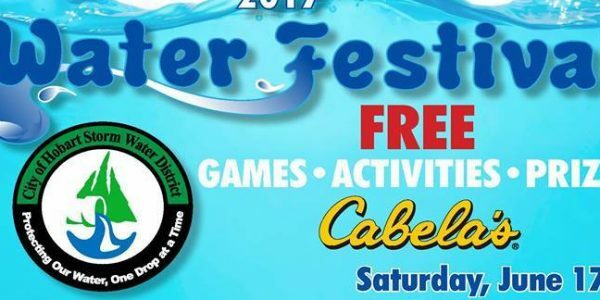 The Hobart Storm Water District would like to announce the 2018 Annual Water Festival. The Water Festival will be held on June 15, 2019, from 10:00 a.m. until 5:00 p.m., at Festival Park, on Lake George in Hobart. The festival is a free event for the whole family. Partial listing of entertainment events scheduled are: DJ Donnie, Dumpster Drummers, Animals for Awareness, Birds of Prey Shows plus many more free activities, games and events for the entire family.